From the very beginning, we’re taught to believe that we might not be enough or have enough. On the other side of this emptiness and endless yearning, we can find a sense of enduring wholeness. 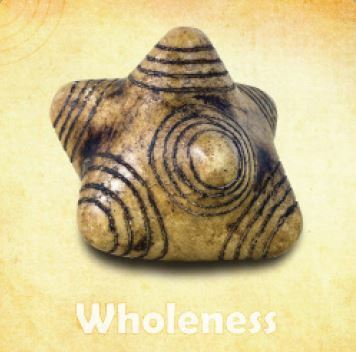 In this teaching and meditation session, our focus is on wholeness. Together, we’ll enter into the heart of the Andes and find ourselves in the Sacred Valley. Eleanora will actually be leading this call from the city of Cusco, Peru while she is on a writing retreat there. She will help us connect with the particular vibration of this land and its stargates. This special part of the planet is surrounded by twelve protector mountains or apus. They let us KNOW that we are living, breathing and thriving in the heart of our Entirety. They help us connect with our inherent wholeness and to come alive with the awareness that we are supported by our Spirit, which is connected to all things. No matter where you are in the world you can connect with us, with this place, and with this energy in order to find your center, your wholeness, and your humanness. * We will use Chumpi Illumination techniques during the class. You do not need a set of Chumpi Stones to participate. Have your own crystals or stones handy before the call or use the Chumpi Illumination Wisdom cards.